The LILO La EspuelaEstribo StirrupLeather KeyRing is beautifully made with rich Spanish leather. 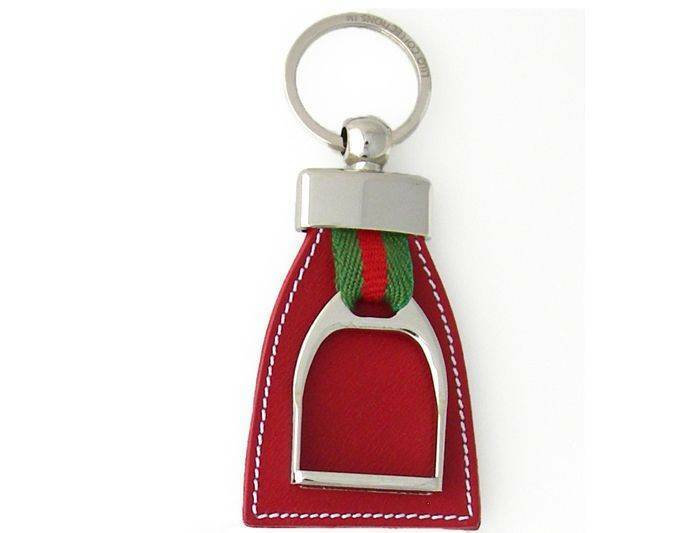 This stylish key ring featuresa miniature stirrup which adds a unique look to a classic design. In addition the stirrup is accentuated with a racing stripe for eyecatching flare. Top grain vaqueta bridle leather is combined with smooth silvertone hardware for a durable and fashionable key ring that will hold your keys together with style. A quality gift for a man or a woman.